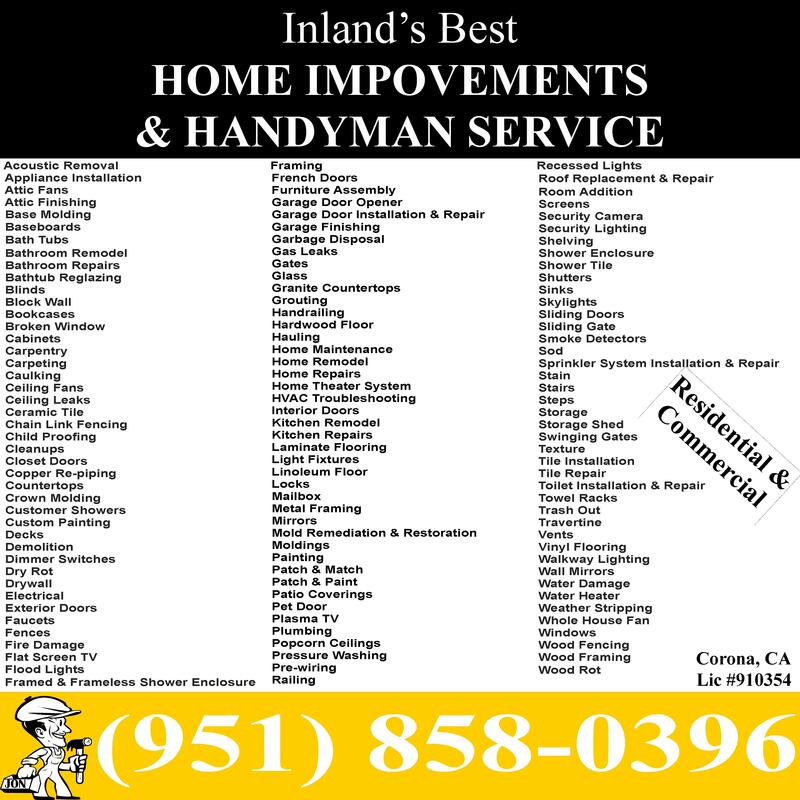 Inland's Best Home Improvements & Handyman Service provides a professional array of services from handyman services to home improvements. We take pride in the top quality workmanship that we provide to our customers at affordable prices. If you don't see it on our list, call or email us, we can do it all! With our service, you’ll get your lights installed and removed without any worries this holiday season with affordable, quality service with a licensed professional. All we need to know is how you would like your home decorated this holiday season. You simply let us know which lights you’d like to hang and we’ll give you an estimate for lighting service and get you into our schedule to ensure that your lighting will be done in time for the holiday season!